Korean skincare is all about layering. 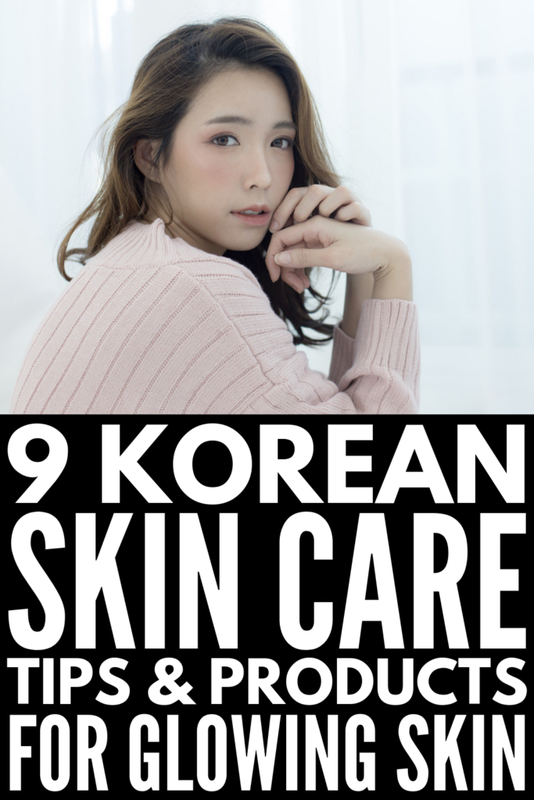 While growing up, I basically just cleansed my face and used a moisturizer, but the Korean skincare routine brings along numerous steps to help your skin look youthful and glowing. It’s not about having products that overflow on your bathroom cabinet, it’s about having the right products for your skin and using them in the most beneficial order. When you’re taking a shower, give yourself a facial steam massage. Massaging your face increases circulation and helps enhance your skin’s complexion. Use your fingers to create circular motions, and tap in rotating motions. Move from your forehead to your cheekbones, cheeks, and work your way down to your jawbone. Your lips can do a lot for your face. Enhancing your lip colour can make your skin look younger and more vibrant. Bring out the natural flush of your lips with an enhancing lip balm, or try a lip tint or oil to give you a pop of colour. Washing your face too much can lead to overly dry skin. Use a cleanser at night, but in the morning it’s fine to wash your face using water only. Glowing skin is soft and moisturized; you don’t want it looking dry and flakey. Sun protection is the key to youthful, glowing skin. No matter how much money you’re spending on other skincare products, if you’re not applying sunscreen, you’re not doing your skin any favours, and are actually causing much more harm to it. UV rays are responsible for everything from wrinkles to pigmentation to skin cancer, so you should be wearing sunscreen every single day. With a double layer UV blocking system, this sunscreen has all the protection your skin needs! A Korean skincare fan favourite, this face mask is made with 99.16% organically fermented ingredients to deliver moisture and nourishment to your skin. Formulated with Japanese green tea, aloe, cucumber, marine minerals and tamarind extract, this essence will leave you with brighter, healthier skin! This cleansing oil removes makeup and impurities, and won’t irritate your skin. It helps balance your skin with natural plants and grains! Made with hydrating and soothing rose extract, this facial toner will balance your skin’s pH level and is free of mineral oil, silicone oil and synthetic colouring. Step 1: Cleanse your skin with water only. As we mentioned above, refrain from using a cleanser in the morning so as not to dry out your skin. Step 2: Use a toner to balance your skin’s pH levels, so it doesn’t become dry and dehydrated. This step also ensures your skin absorbs the products you apply afterwards. Step 3: Apply essence. A mix between a toner and a serum, essences add another layer of hydration to help you achieve a youthful complexion. Step 4: Apply ampoule. You only need to apply an ampoule when your skin is in need of some extra TLC. More potent than a serum, ampoules contain a higher number of active ingredients to target particular skincare concerns. Step 5: Add in your favourite serum to target any skin concerns you may have, from wrinkles to dark spots to dryness and dehydration. Step 6: Use an eye cream across your brow and over your eye socket bone, from the inner corner to the outer corner of your eye. The under area of your eye is the only part of skin that doesn’t create its own moisture, so it’s prone to dryness. Combat dehydration with a light eye cream. Step 7: Apply a light layer of moisturizer all over your face to ensure your skin stay moisturized all day. Step 8: Finally, lather on the sunscreen, no matter what season it is. The sun’s UV rays reach your skin anytime you’re outside, so it’s key to protect your complexion. Wearing sunscreen on the daily will help prevent wrinkles, fine lines and dark spots. Step 1: Use an oil-based cleanser to remove oil-based makeup and impurities from your skin. Step 2: Then move on to a water based cleanser to remove the oil residue and water based impurities. This is called double cleansing. Step 3: Twice a week, exfoliate your skin to remove dead skin cells that make your complexion look dull. Without exfoliation, these dead skin cells can block your pores, preventing your skin’s absorption of key products and ingredients. Step 4: Use a toner to balance your skin’s pH levels. Step 5: Apply an essence to increase hydration. Step 6: Put on an ampoule at night to maximize your skin’s hydration. Step 7: Apply a serum to target specific areas of concern. Step 8: Place a deeply hydrating sheet mask over your skin. They’re of the best anti-aging treatments and are packed with amazing ingredients to brighten your complexion! Step 9: Apply an eye cream to hydrate the under eye area. Step 10: Use a moisturizer to keep all the amazing products and skin-loving ingredients locked in overnight. You’ll wake up to a hydrated and glowing complexion! If you want to take your skincare game to the next level, adopt a Korean morning and nighttime skincare routine and look in the mirror to see beautiful, glowing skin! Did you love this run down on the Korean skincare routine? Please share it on Pinterest! And if you want more skincare hacks, make sure to follow our Beauty Board on Pinterest!